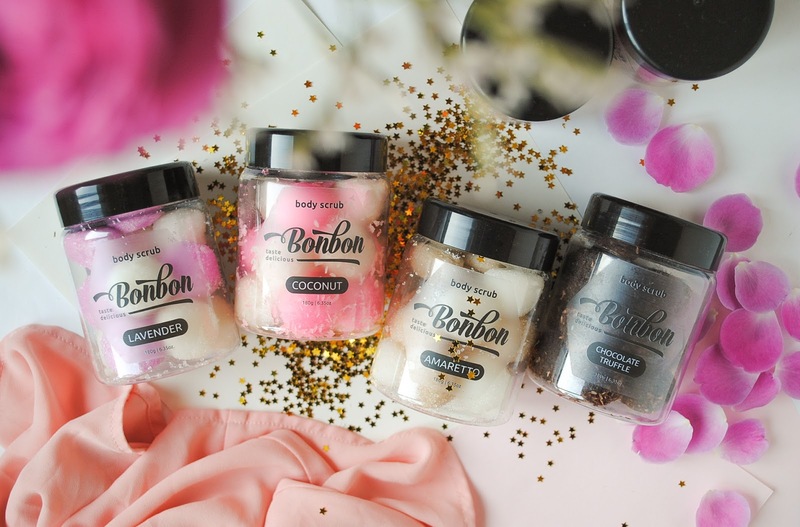 So Bonbon sent me their body scrubs, those little balls above, which scents are the following - Lavender, Coconut, Amaretto, Chocolate Truffle. These are all handmade and smell amazing. So yummy!!! I am barely holding myself from eating them. You have to put them under a running water for a few seconds then try them.They are so nice, very gentle and have something moisturising in them which makes my legs feel so soft. Oh and I use them before shaving my legs and boooy they are so freaking smooth afterwards! Out of all these four I have to say that my favorite is Chocolate Truffle. It makes me smell so yummy and is the creamiest out of all of them. I feel like I'm taking a chocolaty shower when using it. Now for the facial polishes. I got two of them Raspberry & Strawberry one and Mango & Peach. These two again are handmade, vegan and cruelty free. So lovely, right? They are heart shaped, and again like the scrubs you have to put them under a running water then apply to a wet area, face in this case. Tiny particles in them (I guess they are coffee grounds) will gently remove the dead skin cells and leftover makeup bits. It says that one heart is for one face wash, but I use them at least 2-3 times, and they are still fine. After the face wash my skin feels smooth and refreshed. The particles do the exfoliating part and the rest are giving my skin some much needed moisture. As you can tell from the picture, these are for dry skin so for me applying moisturiser after is a necessity. 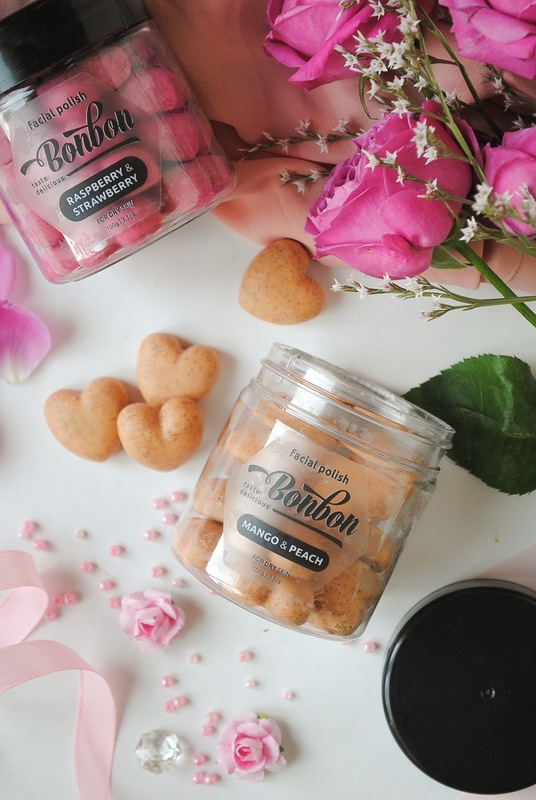 Again thank you so much Bonbon for sending me some of your goodies. Not only I enjoy them, but so does my sister. Oh yes and we do share stuff like this. Overall it's such a nice brand at rising (I'm sure) with sweet customer service and great products. This post is not an AD, I've recieved the gifts and writing a blogpost about them was my decision. All the opinions are my own. I haven't heard of these before but I might have to look into them! OMG these look so cutee! 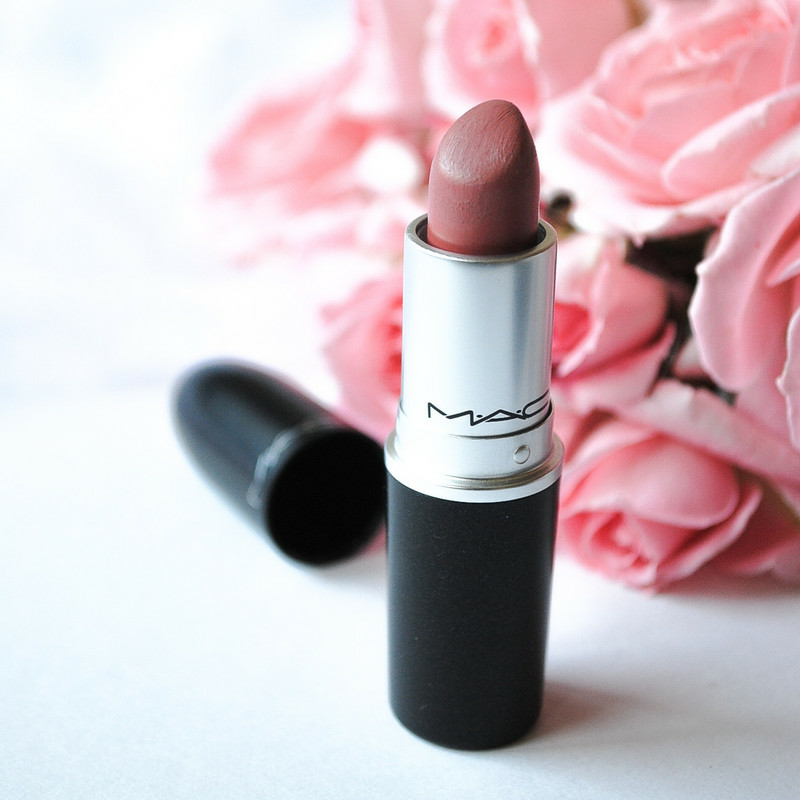 I want to get one to try out so badly!